Camping Beer – say what? Jules & I decided to take some beer on our camping trip, however we both agreed on no glass growlers or glass bottles. So.. what to do now? Well after our recent trip to Out of Bounds Brewery – http://outofboundsbrewing.com/?page_id=77 we saw that they are now offering their beer in these growler bags. 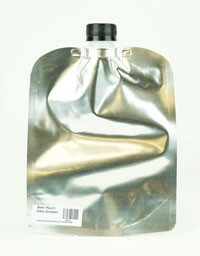 What a great idea, no glass and will be smaller in space for the trip back.